Combine any route or tour into one incredible, unforgettable day. Visit Pearl Harbor then head up to the North Shore, or even cruise around the Ko`olau Mountain Range on a Circle Island Tour after seeing the memorial. Your Private Tours insure you have the best experience possible, and that you see as much as you can on your vacation. Come see why the combination, or "Mix-Plate," is everybodyʻs favorite! Combine any tour route, itinerary, or options into one unforgettable experience. Guests are picked up at virtually any hotel, airport, or location and given a personalized private tour of O`ahu. Choose the perfect sights and activities for you and your family, swimming, hiking, shopping, great food, photography and much more. Choose between Your Half Day (6-Hour) Tours, Your Full Day (9-Hour) Tours, and Your Long Day (12-Hour) Tours. Your Combination "Mix Plate" Tours, will give you great options like swimming, snorkeling, shopping, a waterfall hike, great photography spots and amazing food. You can visit the Arizona Memorial and pay your respects, then explore the rest of this amazing island for the rest of the day. Your Pearl Harbor/North Shore Combo is always a favorite. 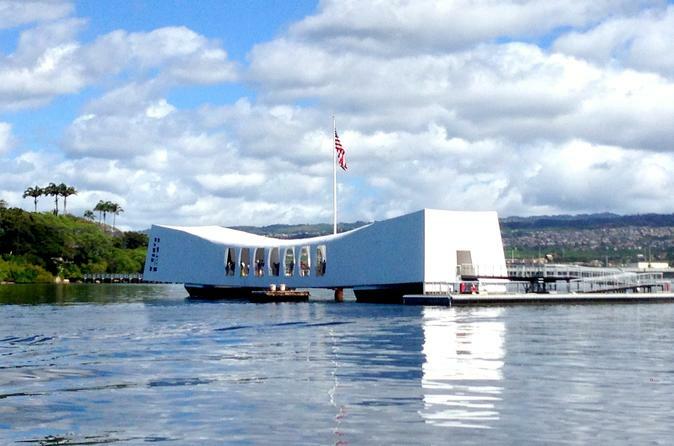 You can also combine Your Pearl Harbor with Your Circle Island Tours into the absolute perfect experience. Even visit Pearl Harbor then combine the North Shore with Waikele Outlets, Aloha Stadium, Hanauma Bay, Diamond Head, Dole Plantation, Nu`uanu Pali Lookout and so much more! Your options are virtually limitless, and every experience is tailored to your groups wishes and tastes.